Passed to the British Museum with the bulk of Mr. Reeve's collection of works of the Norwich artists, and are to be found in the Print Room there. 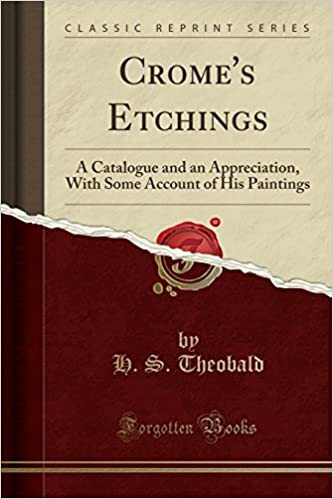 Mr. Reeve has also allowed the author to have access to a collection of Notes made by the late Mr. Edwin Edwards, containing the result of inquiries made in the early seventies about Crome and his contemporaries. But the principal source of the author's information has been Mr. Reeve himself. Mr. Reeve's knowledge of the Norwich artists is full and precise, his memory is a store-house of facts about them, and there is probably not a picture of any importance by any one of them which has not come before him. He has with ungrudging liberality allowed the author to draw upon his stores. He has entered with zest into innumerable minute questions and problems which have puzzled the author, and has solved them with never failing acuteness. Once or twice the author has been inclined to differ from him on a question of fact, but further study and con.